Childhood history or children’s history? Children from Redlands Infant School, Reading, on a nature study ramble, 1910-11, Berkshire Record Office, D/EX 2134/3/4. 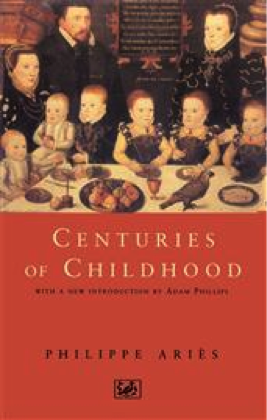 Although historians have been interested in childhood for a long time (the classic work is Philippe Ariès, Centuries of Childhood, 1960), for many years the subject languished on the historiographical margins. It is only recently that it has come to assume as more central place. There are now several international scholarly organisations devoted to childhood and youth history, among them the Society for the History of Children and Youth and the Centre for the History of Childhood. Books, journals, conferences and articles proliferate. But why is childhood history suddenly so popular? One reason is that many historians (myself included) believe that children have, in E P Thompson’s resonant phrase, for far too long been victims of ‘the enormous condescension of posterity’. The rise of childhood history is an example of ‘history from below’ – just as historians have struggled to reclaim the past of groups marginalized from mainstream historical narratives because of their gender, sexuality, race or class. Yet there is a crucial difference between childhood and these other categories of exclusion. It is not that children have been less silenced – the problem is, if anything, the opposite. There are now, fortunately, many academic books and articles by female, LGBT, black and working-class historians, but there are none by children. This is not to say that children have been more discriminated against than these other groups, but that there is a special quality to their historiographical silence. The history of children, will, presumably, always have to be written for them. This creates a certain unease. While few of us, I think, would want only women to write women’s history, or only black people to write black history, we would rightly be troubled if all women’s history was written by men, or all black history by whites. Yet this is, and presumably must continue, to be the case with respect to children’s history. In this respect, attempting to recover the history of childhood is an exceptionally radical, challenging and indeed ultimately perhaps impossible undertaking, with parallels to ecologically-inspired attempts to write history from the point of view of animals. Can children ever write their own history? Here it is worth making a distinction between the history of childhood and the history of children. The first can be understood as the history of the way adults have thought about children. Has ‘childhood’ always been regarded as a distinct phase of life, with its own specific attributes, or has it been historically variable with respect to time and place? How do ideas about childhood relate to legal and institutional developments (such as the introduction of compulsory education, or a minimum age for voting, criminal responsibility, marriage etc)? Such questions, while fascinating, are essentially a branch of cultural history or the history of ideas, and are amenable to well-established methods of historical investigation. It is the history of children – their own experiences, thoughts, feelings, needs and concerns – that is the more elusive aspect of the subject. As adults, we must ask ourselves how reliably we can recall even our own childhood – a veil seems to fall between us and the recollection of our childhood experience, although perhaps we can see a few brilliantly illuminated ‘spots of time’ through it (Wordsworth), or with infinite pains recover the lost texture of specific memories (Proust). Far more challenging still is attempting to understand the past childhoods of others. Yet few things could be more exciting or rewarding to a social historian than seeking to comprehend the mentalité of a social group that cannot, or can no longer, speak for itself, and indeed some of the most enthralling historical studies of the postwar era have been those that have tried to do just that (e.g. Emmanuel Leroy Ladurie’s Montaillou: Cathars and Catholics in a French Village 1294-1324, 1975, or Carlo Ginzburg’s The Cheese and the Worms, 1976, which sought to rediscover the world view of a heretical sixteenth-century Italian miller). Last term we held the first three of our Annual Research Theme seminars. On 16th October I spoke about ‘Children’s Imagined Geographies and the Creation of Rural Spaces’, arguing that the names children invent for their rural play spaces reflect important aspects of their experience. Our second seminar was jointly hosted with the Early Modern Research Centre, when Dr Hannah Newton gave a fascinating paper on ‘The Sick Child in Early Modern England, 1580-1720’ (Wednesday 12th November), demonstrating how despite the apparent absence of sources, it is possible to hear the voices of early modern children and recover something of what illness meant to them. The third and final ART seminar of the autumn term represented a new departure for the Department because it was (to the best of my knowledge) the first time an undergraduate had given a paper in the Department’s principal research seminar series, when Jessica Freeland spoke on ‘Royal Medieval Children and the Issue of an Itinerant Household’. This was a stimulating and informative paper that provoked a lively discussion. It was followed by an equally well-received paper by one of our postgraduate students, Nick Haigh, on ‘Country childhood in Twentieth-century rural England: Perceptions and Experiences’, drawing on Nick’s research on rural memoirs and autobiographies in the Museum of English Rural Life. This entry was posted in 2014/15 History of Childhood and Youth and tagged Childhood; Youth. Bookmark the permalink. 1 Response to Childhood history or children’s history? So remember when you are seeking a Wholesale ralph lauren Supplier, spend time to find an experienced one. can lift an otherwise dull ensemble out of the shadows.